If you’re in the market for a used vehicle in Little Rock, AR, Steve Landers Auto Group can help. You can find all kinds of used Chevrolet vehicles at Steve Landers Kia, Steve Landers Toyota, and Steve Landers Chrysler Dodge Jeep Ram in Little Rock. Whether you’re looking to buy used or certified pre-owned, or you’re just interested in trading in your car, Steve Landers Auto Group can get you all set up with the right vehicle for your lifestyle and budget. 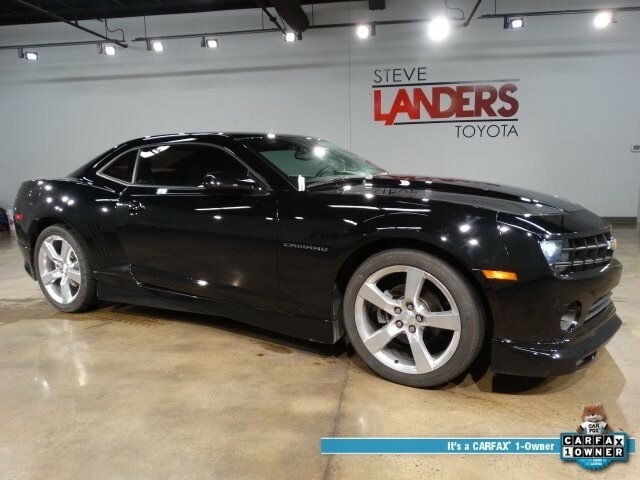 Take a look at this gorgeous 2010 pre-owned Chevrolet Camaro 1LT Coupe, available now at Steve Landers Toyota. This is a CarFax one-owner car, and it’s sitting pretty waiting to find its next home. This Camaro has remote keyless entry, XM radio, electronic stability control, alloy wheels and more. The coupe’s odometer is 21635 miles below market average, so you know the car has been well taken care of. The sleek black beauty features an all-black interior with front sport bucket seats and a power driver seat. This model of the Camaro also won the 2010 Brand Image Award for Kelley Blue Book. Get directions to Steve Landers Toyota in Little Rock. Steve Landers Auto Group has you covered in the SUV department, too. 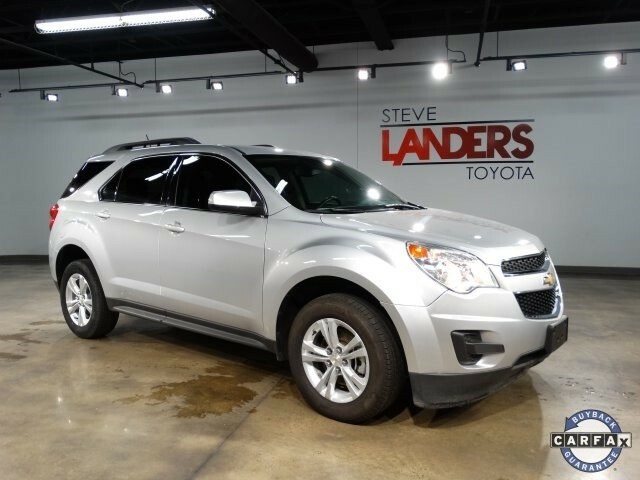 There are a number of SUVs available, like this 2015 Chevrolet Equinox LT. This one has electronic stability control, wireless phone connectivity, remote keyless entry, a premium audio system, and an emergency communication system. On the outside, this SUV is a metallic vision. On the inside, it sports a jet black interior with graphite accents. The Equinox has a clean CarFax, excellent fuel efficiency, and Chevrolet MyLink connectivity. Steve Landers Auto Group has no shortage of trucks, either. 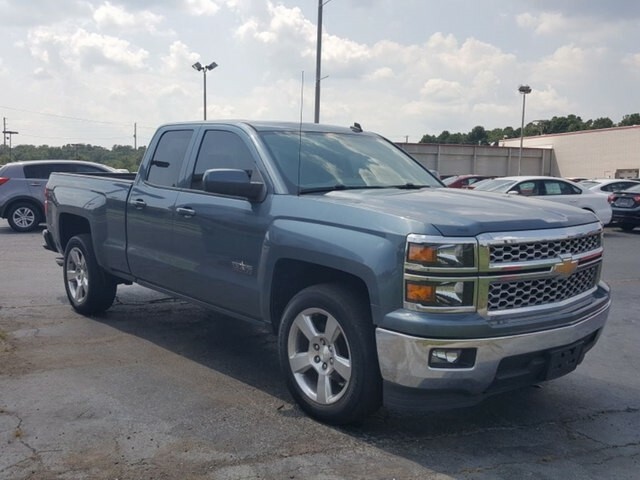 Check out this handsome blue 2014 Chevrolet Silverado 1500. This truck is a double cab model, and it can be found at Steve Landers Kia in Little Rock. The Silverado is 18701 miles below market average, and it provides a host of features like ABS brakes, brake assist, EZ lift & power tailgate, fully automatic headlights, illuminated entry, power steering, remote keyless entry, and the list goes on. As powerful and attractive as this truck is, it’s sure to fly off the lot—so come take it for a test drive today! Get directions to Steve Landers Kia in Little Rock. Learn more about this 2014 Chevy Silverado 15500.